Multi-Contact’s primary circuit connector RobiFix is becoming a new standard in the automotive industry. 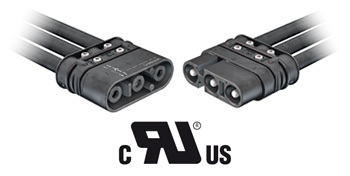 Since early 2013 the connector is a UL recognized component to both Canadian and US standards (cURus). Particularly compact, energy efficient and user-friendly, RobiFix is one of only a few connectors for the automotive industry to fulfil all requirements for UL recognition. RobiFix is suited for the use on all relevant robot interfaces, on manual and stationary welding guns as well as on automatic tool changers. 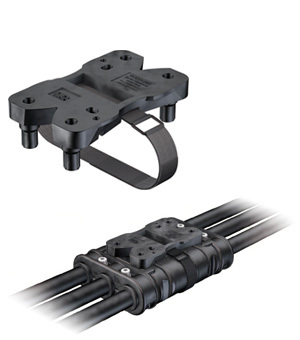 Very fast, user-friendly and suitable for overhung locking or wall mounting - the new interlock system for RobiFix. Multi-Contact has developed a new standard for robot dress packs for spot welding. The RobiFix primary circuit connector provides power supply in the dress pack with single-core cables, and is particularly compact, installation-friendly and cost-effective. 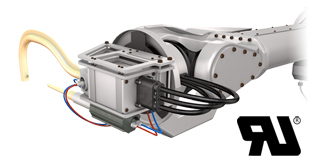 New accessory parts now round out the system and extend its possible applications.